Sir Titus Salt was born at the Old Manor House, Morley, in Yorkshire, on September 20, 1803, the first of seven children. His father, Daniel, a drysalter and wool merchant, moved to Crofton, near Wakefield to take up farming. When this failed the family moved to Bradford. Titus was to learn all aspects of the wool trade - fleece to fabric - before joining in business with his father. Much of Sir Titus Salt's fame rested on the chance purchase in Liverpool of a neglected cargo of Alpaca wool. Having very long fibres, the fleece needed special machinery to deal with its processing. Titus Salt already had a mill in Bradford capable of handling the Alpaca wool and this resulted in a successful fabric. Titus already had six mills in Bradford by 1853 when his idea for a mill and village were taking shape beside the River Aire on the outskirts of Shipley. The scheme had the added advantage of the Leeds-Liverpool canal and the railway running either side of the mill. The mill was opened with much ceremony in 1853. Fourteen boilers supplied steam to four beam engines which powered 1,200 looms which were capable of producing 30,000 yards of cloth per day. A gas works provided the mill and village with heat and light. The village took its name from Salt and the River Aire, which also ran alongside the village. There were no public houses in the village and a club and institute were erected to cater for the moral and physical welfare of the community. Ironically, today in the village there is a bar and restaurant called "Don't Tell Titus". Sir Titus Salt was the second Lord Mayor of Bradford (1848) and became a member of Parliament in 1859, resigning in 1861 due to ill-health. He died on December 29 1876, and around 100,000 people witnessed the funeral procession. Many people have questioned Titus Salts's motives for building the mill and village. Claiming he wanted total control of his workforce following a time of industrial unrest in Bradford. During his life, there were many instances of his generosity to various causes but, in my opinion, one act of generosity would show his relationship with his workforce was a paternal one. In September 1856, just three years after the mill had opened, 3,000 employees were taken by train to his home, Crow Nest, at Lightcliffe, where they were entertained and feasted. They saw the animals from which the wool they worked with was taken. Titus kept a herd of llamas, alpacas and angora goats in his park. They also saw his greenhouses where he grew bananas and other exotic fruits. This was repeated in 1873, when he celebrated his seventieth birthday at his home with his employees. There are many books about Sir Titus and Saltaire published locally. One of the best is Salt and Silver - A Story of Hope by local journalist Jim Greenhalf. 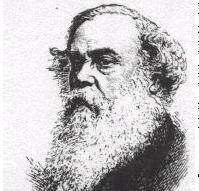 The book compares a local entrepreneur, Jonathan Silver with Sir Titus Salt. Jonathan Silver was largely responsible for the revival of the mill and to some extent the village, which in turn increased tourism and put Saltaire on the map once more. Jonathan Silver was a friend of the Bradford-born artist David Hockney, which resulted in a art gallery in the mill containing a large collection of his work.